In this free online course Python Programming - Working with Functions and Handling Errors you will learn about functions, how to create your own functions and how to use them. You will also learn about errors that can occur in your code. You will learn about using the try/ except statement to handle potential errors. The course begins by introducing you to functions and you will learn how to create your own functions and how to pass parameters into your functions. Next, you will learn about what type of errors you can get and about different methods for handling errors. You will learn about using the try/except statement to test pieces of code that may cause an error. 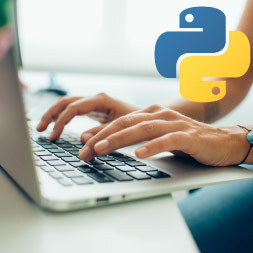 Prerequisites: You will need to have completed the previous courses on programming with Python: 'Programming Concepts with Python', 'Python Programming - Working with Numbers, Dates and Time', 'Python Programming - Working with Complex Decisions and Events' and 'Python Programming - Working with Lists and Files'.